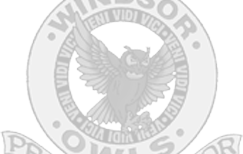 Walk It Windsor was chosen as the official name of our club! Walk it club has over 50 members involved in walking different routes after school. It meets on Tuesday OR Thursday afternoons (weather pending). Members are welcome to join at any point providing they have returned their parent permission slip. Our theme is walk around the world…students are walking to many different locations “all over the world” as part of their experience.